Back injury at work is one of the leading causes of absenteeism in the workplace. In the majority of cases, these injuries are caused due to incorrect execution of job-related tasks such as lifting or handling heavy objects. If your job involves a lot of heavy lifting or handling of heavy objects, whether regularly or occasionally, you could be at higher risk for back injury. By law, employers are required to ensure that all of their employees receive extensive training in using correct techniques to prevent back injury. They are also required to provide the proper equipment and protective gear to assist with the work and minimise the likelihood of injury. Unfortunately, this does not always happen. The best thing you can do to protect your back in the workplace is to educate yourself on proper ways to handle various tasks and prevent a back injury form occurring. These safe lifting and handling tips will help. Spending a few minutes thinking about the procedure will help you to carry out the procedure more fluidly and more efficiently. Take into consideration the weight of the object to be lifted as well as where you need to lift it from and where you need to place it. Make sure you have everything you need before you start. Are you wearing appropriate clothing or have the correct equipment required? These could be items such as gloves to aid grip or an industrial back belt to help prevent injury? Are there proper handles or handholds that will allow you to grip the object firmly? Incorrect posture while lifting is the main cause of back injury. There are several little things that go into maintaining the correct posture for lifting. First, get as close as possible to the object that needs to be lifted. Standing right next to the load puts less strain on your back as you lift. Secondly, avoid looking down at the object while you are lifting. Once you have got a firm grasp on the item you need to lift, lift your head, look straight ahead and then proceed to lift it while getting to the standing position. Adopting a stable position before lifting is important as it helps you to maintain your balance. This involves keeping your feet apart with one foot slightly behind the other. Never keep your feet together as it gives your body the least stability and you could lose your balance while lifting. Continue to breathe freely while lifting. For most people the instinctive reaction is to hold their breath while lifting. Be aware of your breathing pattern while lifting. Never hold your breath as this could raise your blood pressure and lead to other serious injuries. Most people automatically bend their backs when they have to pick an item up from the floor. While this may not cause any injury if you are picking a small, lightweight object, it is almost certain to strain and injure your back. If you have any pre-existing back condition, bending and lifting with your back will worsen the pain. Never stoop or bend your back when lifting. The structure of the backbone is such that it can get injured with repetitive bending and twisting. The correct way to lift something off the floor is to bend at the knees. This is even more important when bending to pick up a heavy object. Get as close as you can to the object, then bend your knees and squat in front of it and looking forward, get into the upright position using your knees. If you have to turn around and go in the opposite direction to which you are facing, turn your whole body with your feet. Do not twist and turn your back or lean sideways while carrying a heavy load. Another mistake many people make when lifting is swooping down, picking up the object and straightening upright in one quick, sudden movement. Lifting a heavy load using this technique increases the risk of injury. To protect your back and prevent injury, pick up the object carefully, grip tightly and stand back upright slowly and smoothly without making any sudden jerking movements. A slow and steady pace is the best way to proceed when handling any heavy object. Focus on gripping the object tightly to prevent it from slipping. Reverse the movements when putting the object down. Knowing your limits is so very important. There’s absolutely no need to be heroic and pick up any load that is beyond your capacity. It doesn’t matter that your other colleagues can lift those heavy loads without breaking a sweat. 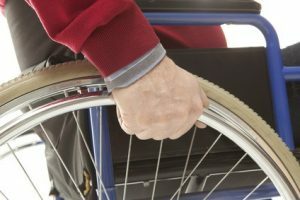 If you cannot manage the load by yourself, get help, whether it is an assistive device or another pair of hands. Despite taking all possible precautions, you could still suffer a back injury in the workplace. 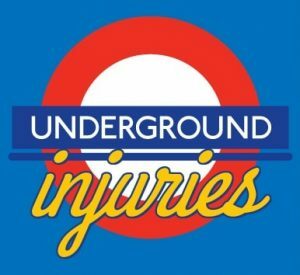 If this happens it is important to follow a few procedures to ensure that you do not exacerbate the injury and also to protect your right to claim back injury compensation. Keeping movement to the minimum is crucial after a back injury. Without the proper diagnostic tests, it is impossible to determine the location or extent of the injury and any movement could make the injury worse. Call an ambulance immediately and get your injury attended to by a qualified medical professional. While waiting for the ambulance to arrive, place an ice pack over the injured area. An ice pack can ease the pain as well as any inflammation. If possible, get photographs of the scene and of the load you were working with. Also get an incident report filed in the log book, which should be in the HR office or in your supervisor’s office. Make a note of the other workers who witnessed the scene so they can corroborate your claim if you decide to go ahead and claim compensation for your back injury. For more detailed advice on claiming compensation for a back injury at work please read this page.